Our Iona earrings – both in green amethyst and aqua chalcedony are now on sale. We have reduced them from £35 to only £20! If you are looking to kick start your Spring accessories now that April is here then we don’t think you can do better than take advantage of this offer and pop some into your basket! We have so many new items coming online that we have to ‘make space’ in our collection. We will be able to offer more pieces than ever before on our website. We know that sometimes our range has appeared to be limited. We have had so many one-off designs that we haven’t been able to include in our online offering. 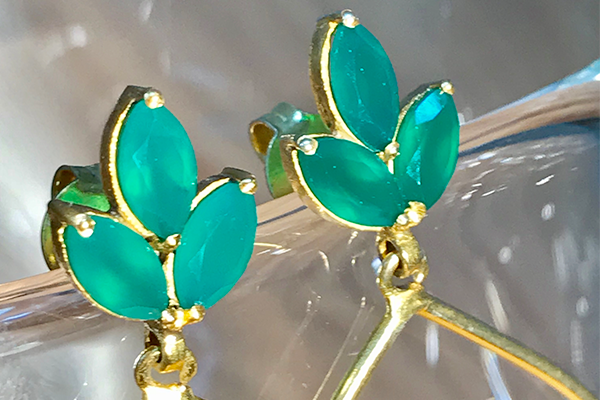 FREE earrings with all orders until 23rd March! 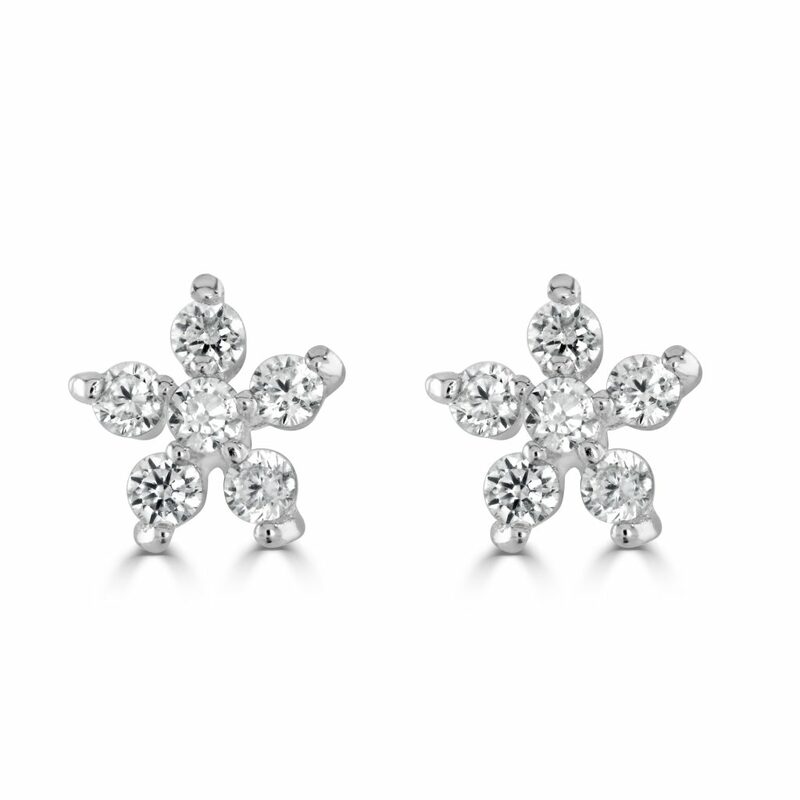 Use ‘Mum10’ at the checkout stage on our website and save 10% on all orders and get a free pair of these gorgeous cubic zirconia flower studs. They are usually £20 so it is an incredibly spoiling offer we think! The free earrings you’ll receive are amongst our most popular earrings for every day wear and can be worn as seconds should you wish. This offer is to celebrate Mother’s Day but perhaps you can take advantage of it even if you aren’t searching for a Mother’s Day gift? Doesn’t everyone love a pair of free earrings? Especially ones as pretty as these! You might be looking for that new piece to refresh an old favourite which is coming to the surface as you Spring wardrobe eases to prominence over the Winter layers? Let’s hope after that dreadful weather of last week the sunshine is coming back. But I know there are some parts of the UK really suffering with horrible weather and I hope you are OK and that it all gets back to normal really quickly; thinking of you. By the way, use your code before midnight on 23rd March so we can be sure to get the order to you before Mother’s Day. Hurry! Offer only available on website purchases and whilst stocks last. Save 10% and free earrings for Mother’s Day! Want to treat someone you love this Mother’s Day? Look no further! We have a fantastic offer to help you … and to treat you! 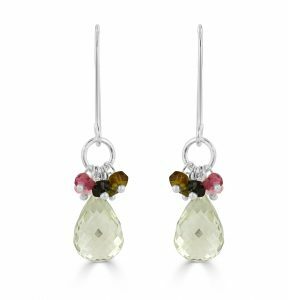 Save 10% on all purchases from www.flutterbyonline.co.uk until midnight this Saturday (23rd March 2019) AND we will also put in a pair of our gorgeous cubic zirconia flower earrings worth £20. 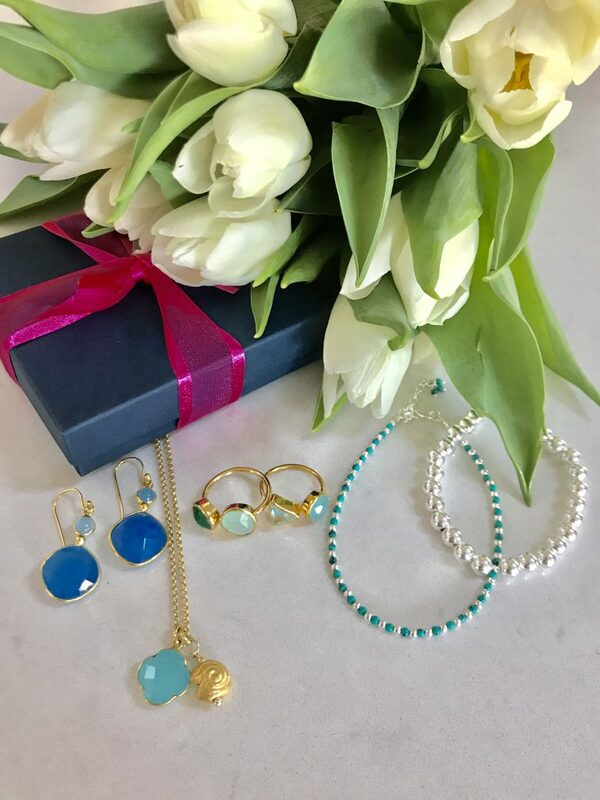 So whether it is your mum, step mum, mother-in-law, or general all round wonderful woman in your life or indeed if you are the one wanting to drop a hint that you’d like a treat, head onto our website and check out our selection of beautiful jewellery. Sunday 31st March 2019 is Mother’s Day. Hurry to place your order whilst stocks last. Use ‘Mum10’ at the checkout stage. 18th Birthday? 21st? Celebration presents? We all know what it is like searching for that gift for a special occasion. You want to give something they will actually wear… not just leave in a box and not enjoy. Here at Flutterby we spend hours researching and carefully selecting and designing pieces which we believe are classics but also wearable and fashionable classics. 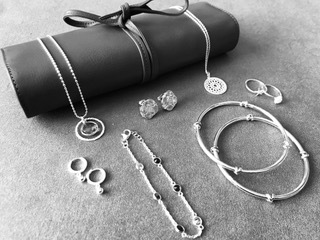 Jewellery which will be well received and genuinely loved… items that are a pleasure to give as well as to receive. We have 14 years of experience in this …. and we love providing our clients with great value. 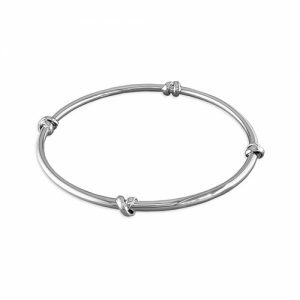 Take our Morton Bangle for example. We know how much this is loved by 18 year olds as much as 40 year olds. It has a beautiful weight, detailed design and is stylish so as to be popped on the wrist instantly and worn everyday and special enough to be treasured and appreciated for years to come. All at the price of £60. 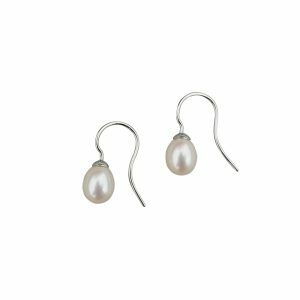 If you’re looking for earrings, then think about pearls. 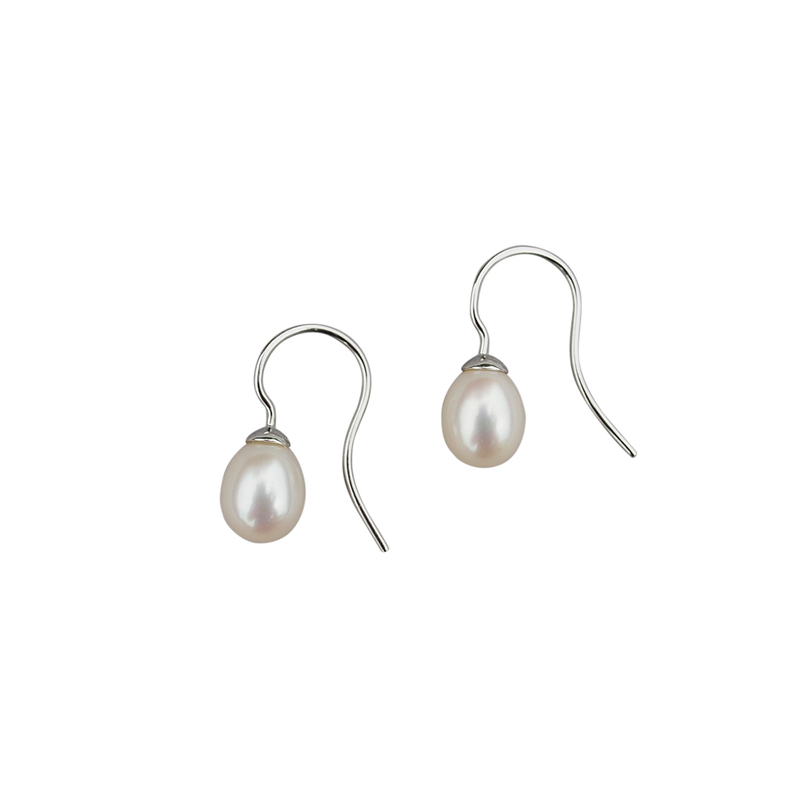 No no, not granny’s dusty yellowing ones but beautiful drop pearls with a stunning lustre on a sterling silver hook. Classic but contemporary. They look beautiful on an 18 year old as much as they do on a 60 year old…. they do, honestly, we’ve seen it! Only £32. 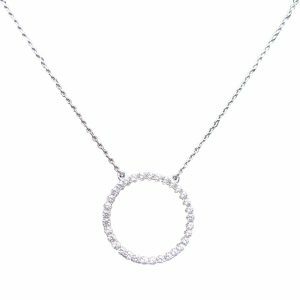 This necklace has proved very popular both with those clients choosing it for themselves and with those who have been given it! It is a fabulous price at £38. Great news! Some of our bestsellers are now back in stock. 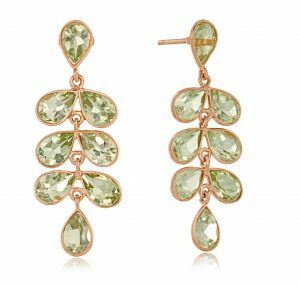 Check out our fabulously special Cara earrings – these are truly beautiful with the faceted green amethyst stones set into a cascade of rose gold encased petals that fall down gently from a central stud. 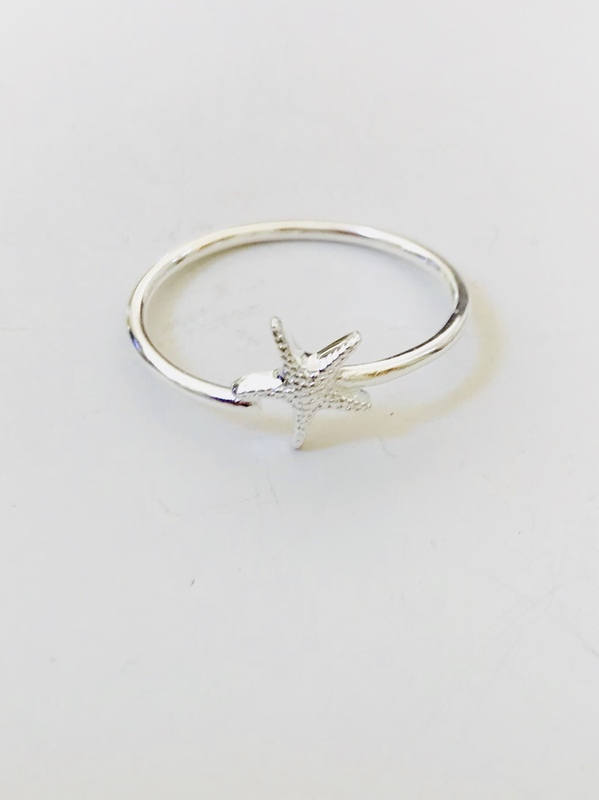 They are made of sterling silver with rose gold plating of excellent quality. 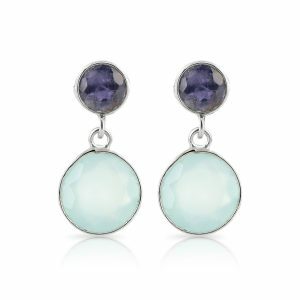 But if you’re looking for more of an everyday earring then look at our ever-popular duet range. 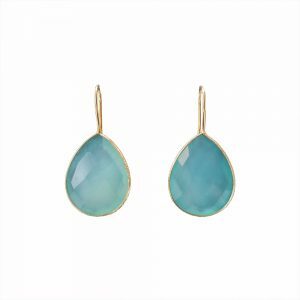 The bestselling gold, peridot and aqua chalcedony is back in stock and we have expanded this range to include now iolite and aqua in silver, These earrings are great value at £56. Loving our new Summer range…. 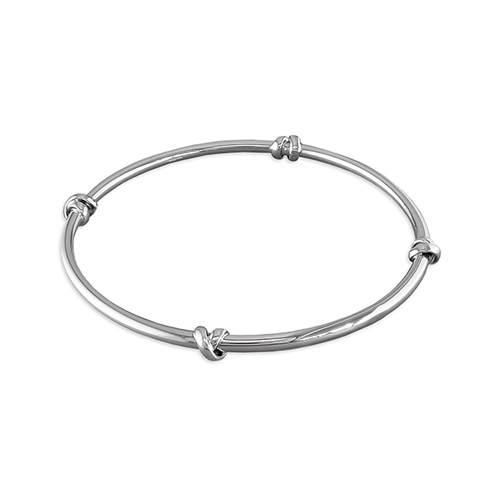 Summer is truly here and we are so excited to introduce a new range of silver rings bracelets, bangles and earrings! 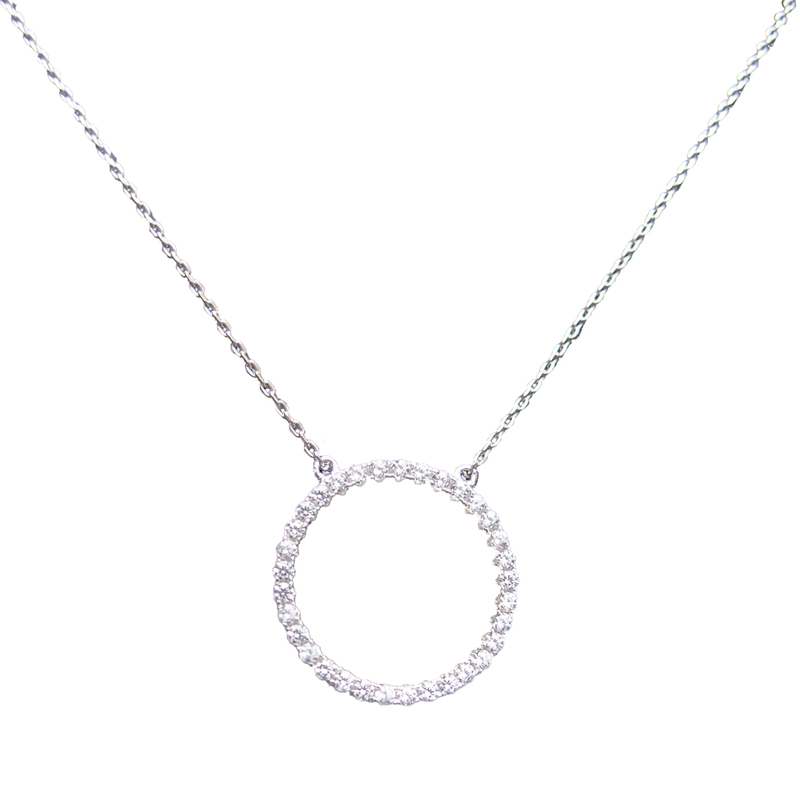 These are delicate, easy to wear pieces which also make great gifts. The polished and textured charms sit beautifully. 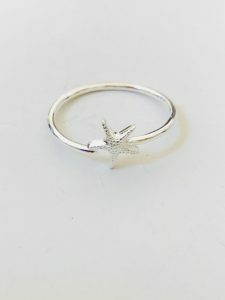 We are loving the little rings particularly because they are open at the front. This means once they are yours, you can gently squeeze the silver to close it to fit. 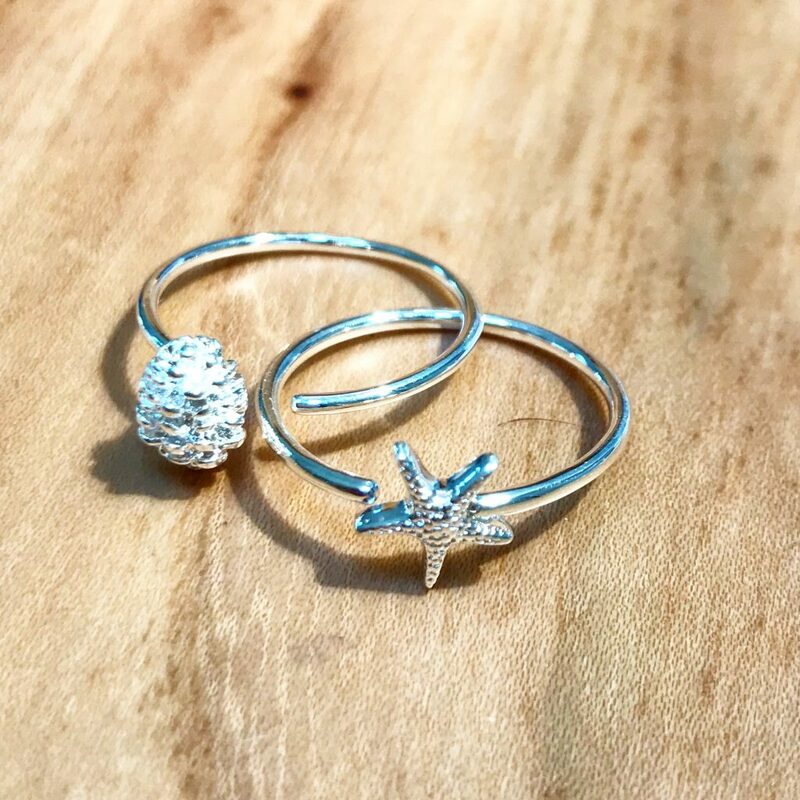 Choose between the Starfish ring or the Fircone ring. 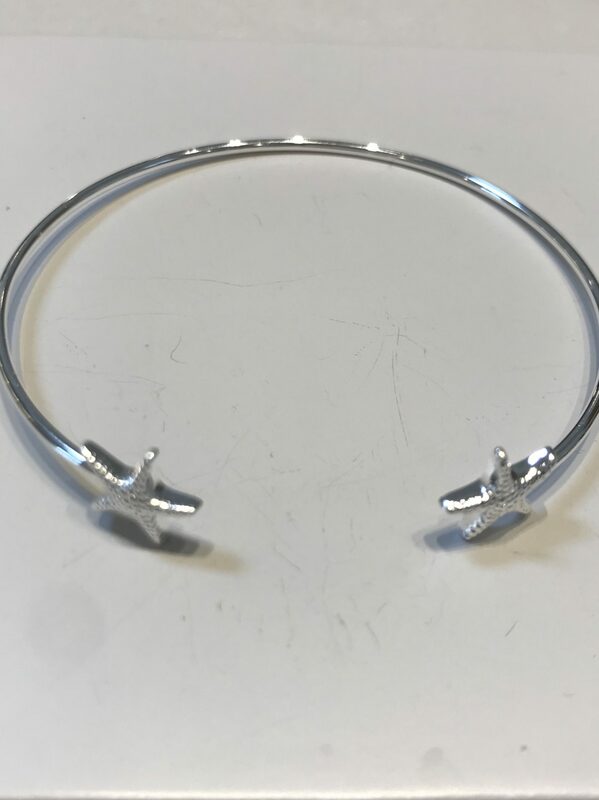 Look at our lovely Starfish bracelets, Starfish bangle too. They look great together in a stack. We never have pestered those on our mailing list and this won’t change. We get in contact when we have something interesting to say – or rather something we feel that those on our list will find interesting and useful. We offer discounts, new product offers and free tickets to shows such as Spirit of Christmas. We hope that our clients who are on our list will enjoy hearing about events, and offers…. they’ll be the first to hear. We had a fantastic day recently taking new photos of our new Flutterby jewellery collection. We have wanted to increase the number of pieces we are able to offer online for a while. 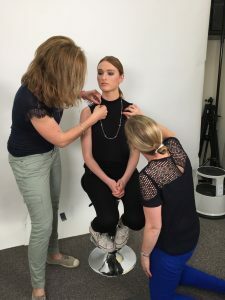 As you’ll know, we make so much of the jewellery ourselves, that it is tricky for us to offer bespoke pieces online as they are often ‘one off’. Now with new images and new model shots we hope that you will enjoy browsing our site and looking at the new collection which we are offering this Summer. 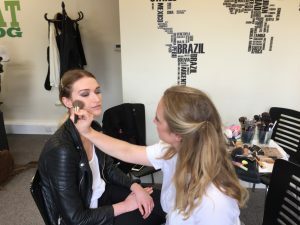 There is always so much hard work behind the scenes in any photoshoot and alongside the cups of tea, laughter and pre-wedding banter (incredibly talented make up artist Lauren is getting married soon!) the guys took an incredible number of photos. The day started with coffee…. and make up … and a comprehensive plan for the day so that we could get through all that we had planned…. we never thought we would! We even managed to squeeze in taking some pictures outside on a beautiful sunny day! One camera was then set up to take the product shots we wanted. 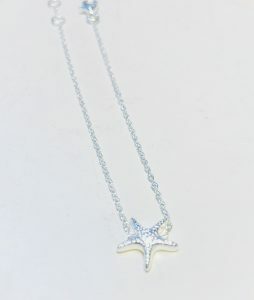 These were mainly of new items which are now online like the Aqua Cascade necklace . We took photos of some of our bestselling pieces at shows which are now available online. Have a look at the Rose star and Rose wishbone necklaces. In the next week or so our collection will be complete and you can shop the wide range of styles at a wide range of price points – just like we offer at fairs and shows – we know you love. So much coming online VERY soon….. just waiting for the editing to finish! Have a little look at the videos and preview shots! We are lucky enough to have been nominated for a Muddy Stilettos award for the best Jewellery store in Kent. We are very excited because we have got through to the finals! But all votes start again so we are asking – if you like what we do at Flutterby – if you would be able to vote for us please! New earrings, new bracelets, new necklaces AND new rings! We have been busy designing, making and collating our new Summer ’17 collection and getting it ready online for you to enjoy. The summer months are always a time to be bold with colours. 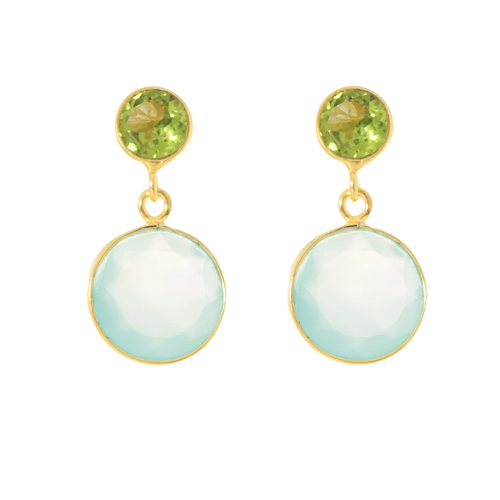 Enjoy that sunshine and embrace blues and greens in your wardrobe and your jewellery. 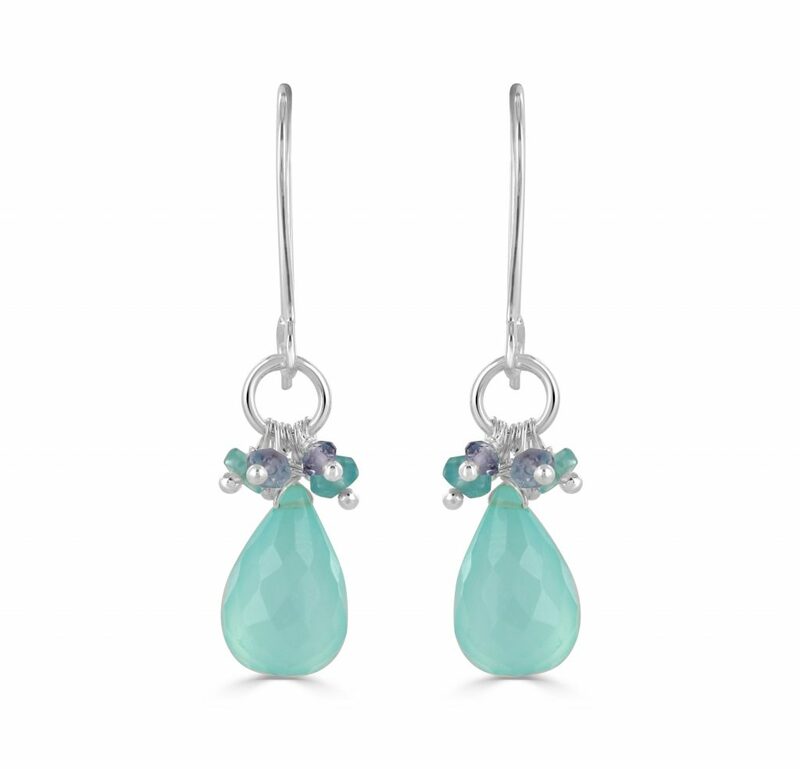 We’ve including some fabulous aquas in this summer’s collection. 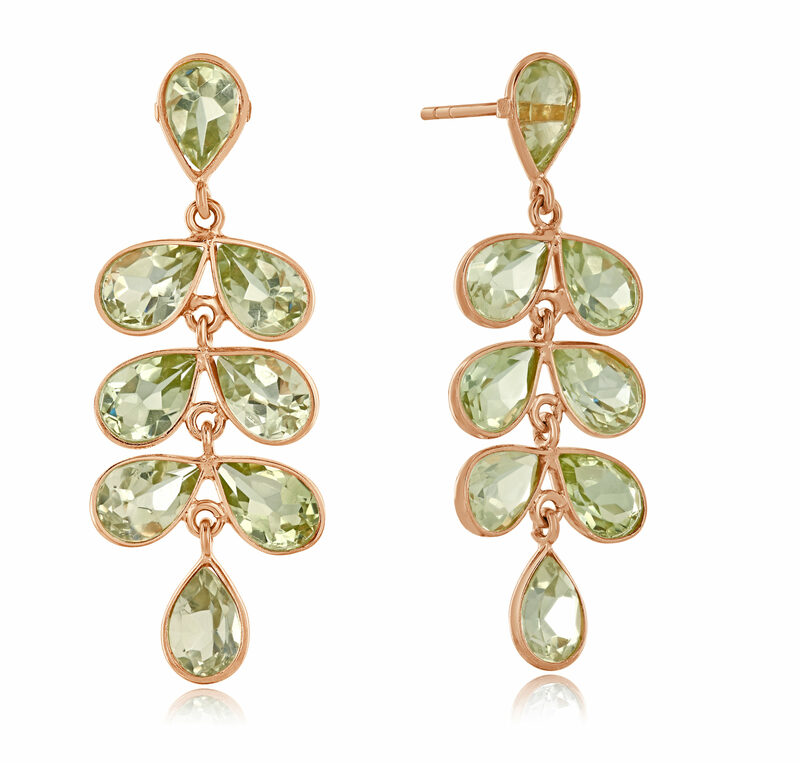 Have a look at the Janie earrings – available in silver and also in gold. They are only £32. 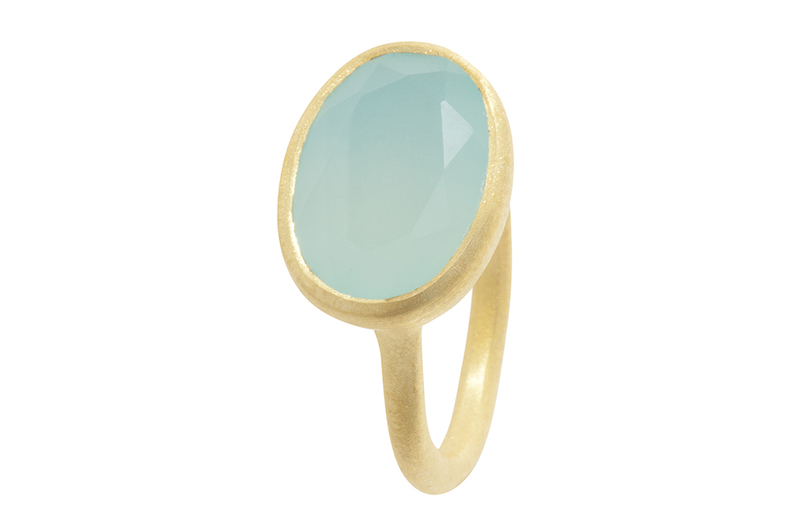 Talking of aqua – check out our gorgeous Iona rings. These stunning rings are made of 925 silver with excellent quality gold plate and a fabulous central aqua stone. They make me think of a glass of something lovely, warm sunshine and looking out at the sea.